Are you seeking a challenging opportunity in an exciting, innovative and growing tech company in Copenhagen? 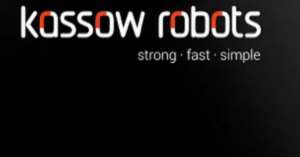 Kassow Robots is a tech startup in the field of robotics who has created a unique product. The company has a solid financial backing and can offer an attractive compensation package. Are you ready to take the lead and responsibility for the further development of our robot electronics? Then read on. To strengthen our R&D department we are looking for an innovative and experienced Electronics Engineer. Reporting to the founder and CEO of the Company, you will be responsible for further development of the high-performance electronics driving and controlling the servo motors in the product. You will be part of a small team of passionate and highly skilled R&D engineers who all do a difference every day to reach their goals. You can feel this spirit in every corner of this young start-up environment. The electronics are compact and they drive high electric currents at low voltage. Advanced sensors give feedback to the control electronics based on a TI DSP. The candidate should have an interest in and an ability to understand and model the electromechanical system which the electronics control. You have an education as an electronics engineer. It is important that you have a thorough approach and can design circuits that work in the first iteration. At the same time, you must have a deep understanding of discrete components and be able to develop reliable electronics with a long service life under changing environmental conditions. We expect you to be flexible and a fast-learner, as our setup is continuously evolving. You are excited about development and results, and you have an analytical approach to your work. You are structured and know how to work independently as well as part of a team. You thrive in a busy working environment and have a passion for solving complex tasks.